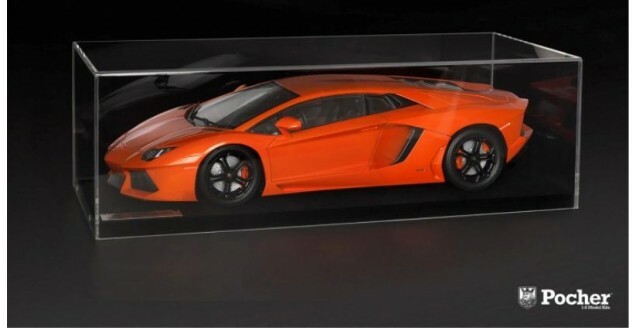 This premium-quality display case has been especially designed to present and protect your Pocher Lamborghini Aventador 1:8 model kit. 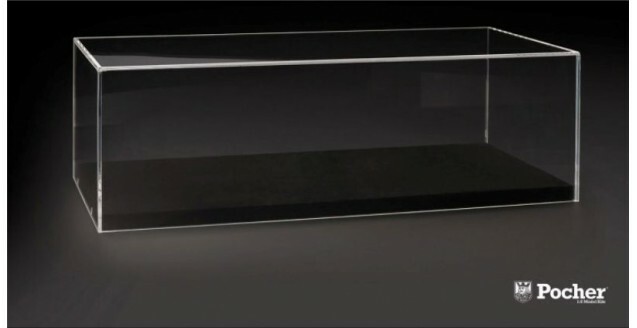 The case is made of highly transparent acrylic of 5 mm thickness, and is provided with a black wooden base which is fully velvet flocked. 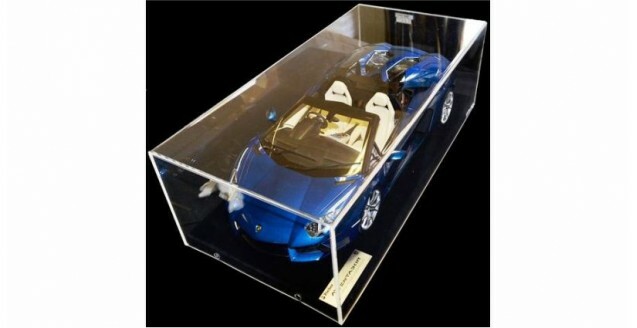 The display case also features holes and screws to fix the Lamborghini Aventador to the base.